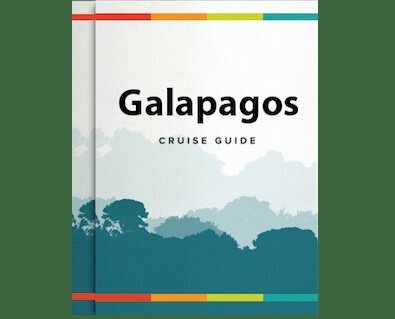 This three-night, four-day cruise itinerary takes you deep into the remote and little-visited Pacaya Samiria Reserve - five million acres of protected, flooded forest. As well as a world of flora and fauna, you will also experience the longest Canopy Walk in Northern Peru. Our crew will be expecting your arrival at the airport, from where you'll hop aboard our comfortable private vehicle as we begin a panoramic tour of Iquitos city, with a tasty lunchbox provided. After the tour we will travel by paved road to the city of Nauta about an hour's drive away. Along the way, you will see vibrant "terra firma" (non-flooded forest) and various aspects of daily jungle life. Upon reaching Nauta you will enjoy a VIP greeting at our private port along the shores of the Marañon River where the Delfin I awaits you. Our first excursion will be done by skiff where we visit our first wildlife-rich location, populated by sloths, iguanas, and recently anteaters! Birdwatchers are likely to check off their bucket list, the yellow-rumped caciques and the very elegant egrets. PM: Happy Hour and orientation: While the Delfin begins its initial navigation, you will enjoy the most fantastic panoramic views from the elegantly outfitted observation area located on our third deck. Our bartender will be waiting to serve you with an exotic cocktail made with regional fruits and pisco, the beloved national brandy liquor of Peru. Then, your naturalist guide will give you an overview of your journey's schedule, activities, route, highlights, wildlife and vegetation to keep your eye out for, geographical and historical background, and other useful details. Dinner will be served in our cozy dining room at the stern of the second deck. Peruvian cuisine mixes a wide range of cultural influences and ingredients, and is now gaining international recognition. So your stay on board the Delfin will be a culinary experience as you try the different styles, seasonings and dishes of our gourmet chef, working with fresh, local produce. After dinner we invite you to the third deck were you can enjoy stargazing while we cruise on into the depths of the Amazon Rainforest. This morning, we hike the Fundo Casual jungle trail, taking us deep into the rainforest on terra firme (non-flooded forest). Biologically, this kind of forest is one of the richest habitats on earth, supporting a vast number of plant and animal species. Among the flora is the giant Ceiba (kapok) tree, recognizable by the girth of its trunk, along with many smaller medicinal plants, which the guides will point out on the hike. As for the fauna, this rainforest is very good for spotting birds such as the Bluish-fronted Jacamar, Collared Trogons and Red-capped Cardinal. This is one of the best preserved and protected zones of the Pacaya Samiria National Reserve. Your guide will use his expert eye to pinpoint all the biodiversity of this region. If you want to interact directly with the waters of the Amazon, go out on one of our paddle boards. You will even have the opportunity to swim in the jungle river along with the famous pink dolphins! Afterwards we will visit the village of San Regis is a flyspeck on Peru's Amazon River that receives few outside visitors, and even fewer come to seek out the Shaman, Carola. Carola is known far and wide in the rainforest, leading a normal village life with her wood carver husband, while at the same time acting as spiritual caretaker and healer to literally hundreds of jungle dwellers spread over many roadless miles. Her prestige and position are beyond reproach. The role of shaman is often misunderstood in the west, associated with black magic, and spells While these things all have their place, the actual practitioners are as varied as in any profession. Carola is known as a "White" shaman, a healer and spiritual guide. The Amazon jungle canopy contains a large percentage of the Amazon's wildlife and vegetation, so this morning we visit the the only canopy walkway in the Pacaya-Samiria area, in order to gain a unique viewpoint of the terra firme rainforest ecosystem, from a height of over 25m / 85 ft. The walkway extends for 500m / one-third of a mile, between 14 large trees, and is one of the longest in the world; and yet no special skills or equipment are needed to enjoy it. At certain times of the year, the water level of the Amazon can rise as much as 10m / 30ft, flooding huge areas of forest. This seasonally flooded forest is known as varzea and is ideal for exploration by boat. So, this afternoon we head out in the lanchas to explore a narrow creek called Nauta Caño, a side branch of the Marañon River, which enters part of the Pacaya-Samiria National Park. This creek is part of a system of lagoons, marshes and oxbow lakes which are excellent for wildlife-watching. In one of the lakes, we will stop for a spot of fishing ... for Piranha! There are 25 species of this notorious fish in the Amazon region, many of which like to swim among the base of trees to eat fruit and chew at bark, when the forest is flooded. They are therefore not as blood-thirsty as their reputation suggests, but still it is a real thrill to catch one. After dusk, we can appreciate the sounds of the nighttime jungle symphony. It is also a great time to spot different, nocturnal species, using spotlights, such as: Night Herons; Spectacled Owls; Nightjars; Fish Bats; Spectacled and Black Caiman; and up to a dozen species of frogs. The occasional flash of light from a firefly completes the spectacle. High Water (Nov - May) Optional Activity: In the high water season you may also have the option to visit the Amazonas Village, including a short jungle walk to meet local villagers who have called Amazonia their home for generations. Here we will visit a market featuring amazing arts and crafts from the local women. We return to our vessel to continue our sailing downstream to the final destination, passing by Yacapana Island. Here we can see the confluence of the Ucayali and Maranon, birthplace of the Amazon River, before we disembark at a jetty in Nauta, where a bus is waiting to take you back to the airport. Our ground staff will assist you with check in, before bidding you a fond farewell.